A middle distance race of Italian Cup (Coppa Italia) will be held on the map Bosco di Annibale (=Hannibal's Forest) near Rovegno in Val Trebbia (Trebbia Valley) in northern Italy on Sunday, April 22th. Most of the work was done by Rudi Ferrari and Martin Lejsek. I revised/remapped a piece of Italian Augusto Cavazzani's well-done part of the older o-map Rovegno - Cascina Morca (1991) in last September. Beside Cavazzani, six Czech mapmakers and also the legendary Finn Hannu Mähönen participated in making this large previous map (12km²). Follow the Rudi's blog (in Italian) to learn of an ancient as well as a newer orienteering history of Val Trebbia. Sunday's race is a part of Liguria 2012 - series of competitions and trainings in 5 days. 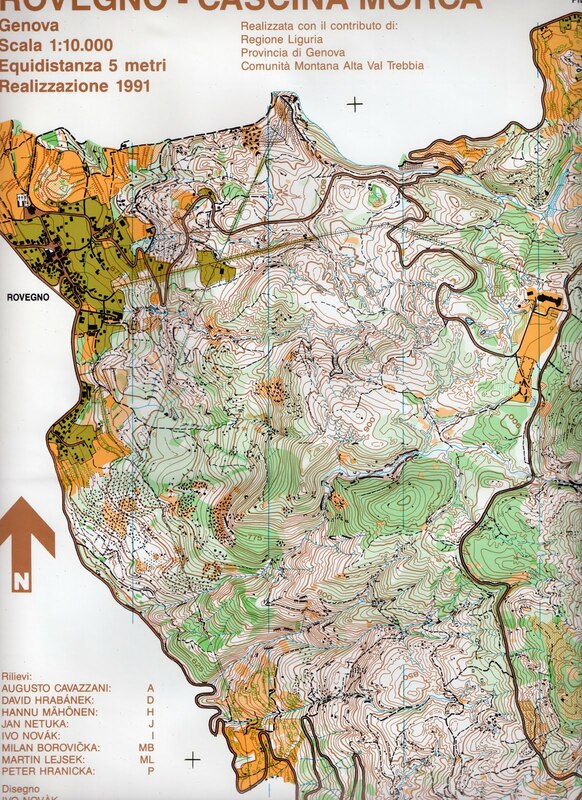 For example there will be a regional championship of Liguria on our last year's map Monte della Cavalla on Saturday.